Apple announces '12 Days of Christmas' giveaway | What Hi-Fi? From the 26th December to the 6th January there will be one free item a day for download via iTunes. As Apple explains: "From 26 December to 6 January you and all your friends can download a free song or music video, app, TV episode or film from some of the biggest star performers on iTunes". Naturally you'll need to an iTunes account to get your mits on the freebie but we guess plenty of you will be signed up on that front already. 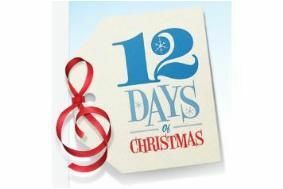 For all the details head over to the iTunes 12 Days of Christmas website.